Dichroic glass has been around sense at least the 4th century AD as seen in the Lycurgus cup. 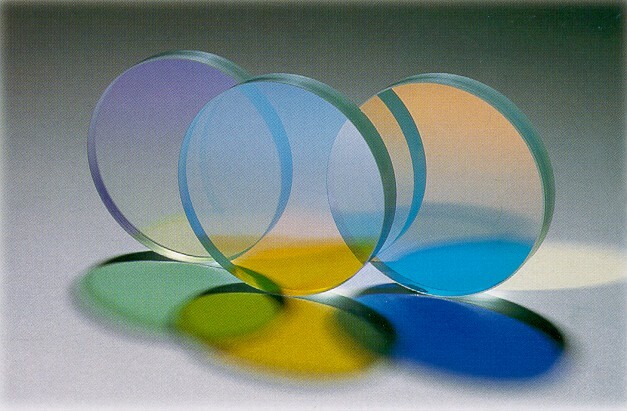 There are different ways to achieve the dichroic effect in glass but nothing like the new high tech Dichroic filters NASA had developed for space exploration. 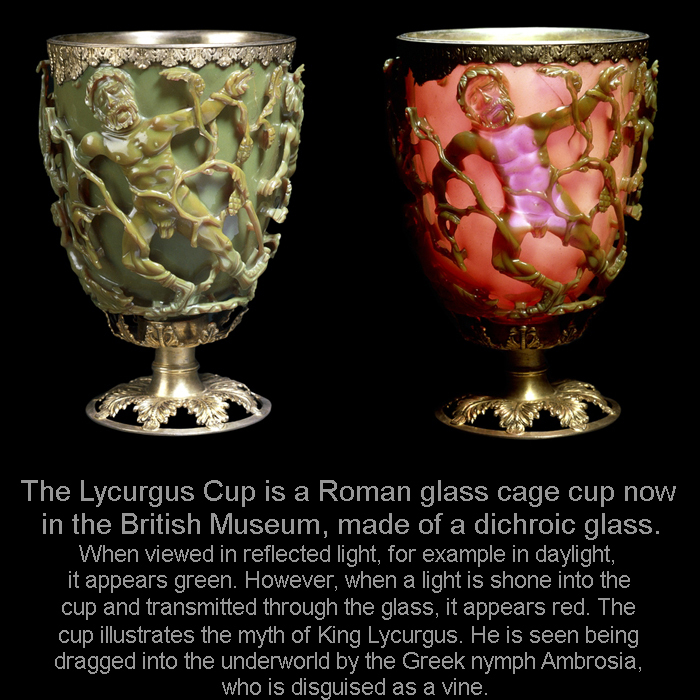 Instead of infusing/mixing the glass with metals like they did to make the Lycurgus cup (the glass it is self has the Dichroic effect), it has multiple ultra-thin layers of metals (gold and silver) that are vacuum deposited on one side the glass surface in the form of a crystal structure. The angle of the glass within the vacuum chamber determines the color. In actuality, there is no color produced. What you are seeing is pure light manipulation at its finest. The result of this process is a glass that transmits one color and reflects another with incredible life and brilliance. Not sure what to get for your loved ones? Unique Dichroic Glass Jewelry & Glass Art straight from the Artists to you! 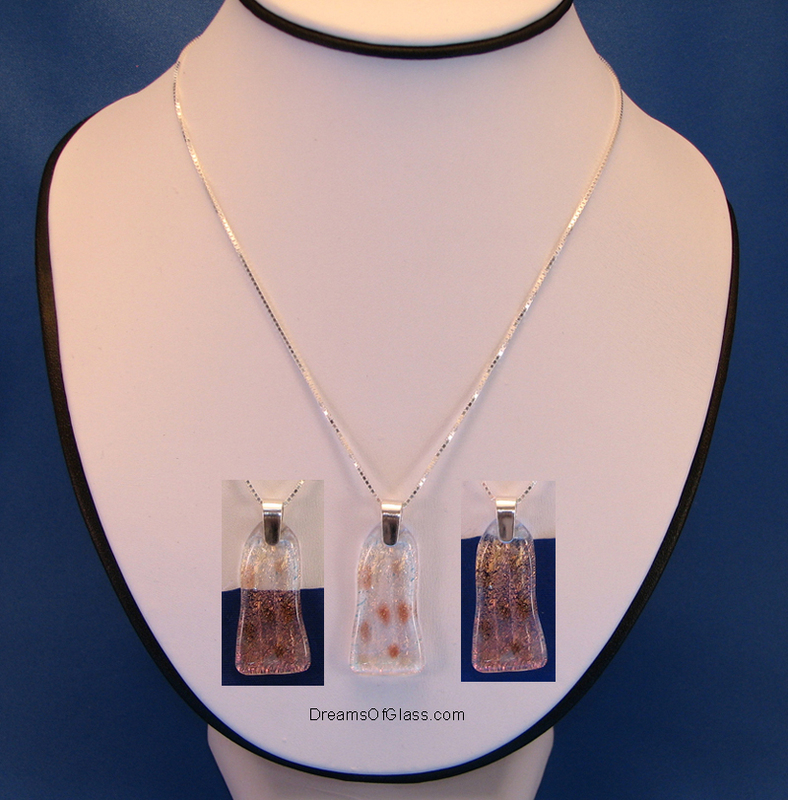 Copyright � 2012 Dreams of Glass.com All Rights Reserved.